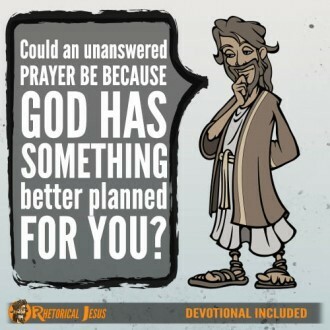 Could an unanswered prayer be because God has something better planned for you? 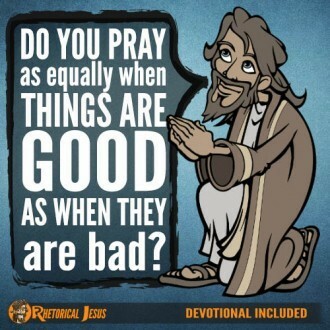 Do you pray as equally when things are good, as when they are bad? 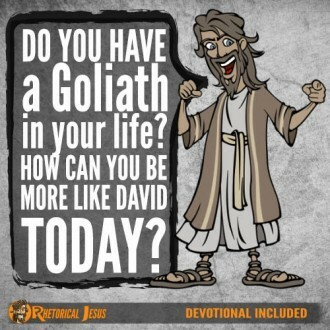 Do you have a Goliath in your life? How can you be more like David today? 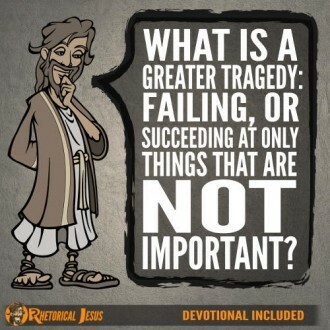 What is a greater tragedy: failing, or succeeding at only things that are not important? 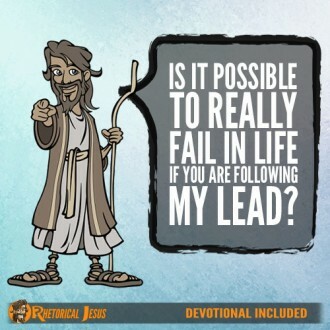 Is it possible to really fail in life if you are following My lead? You can ask me anything. 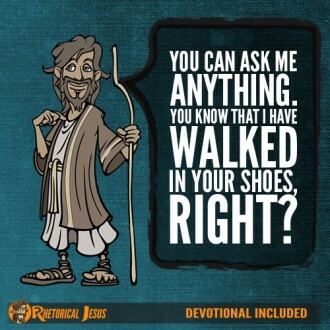 You know that I have walked in your shoes, right? 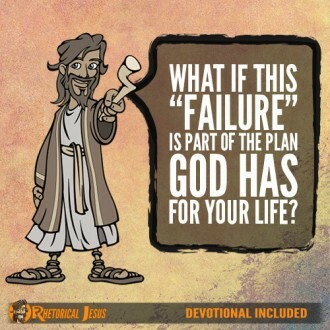 What if this “failure” is part of the plan God has for your life? 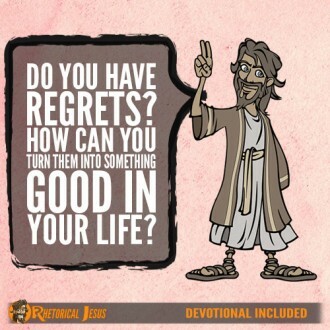 Do you have regrets? How can you turn them into something good in your life? 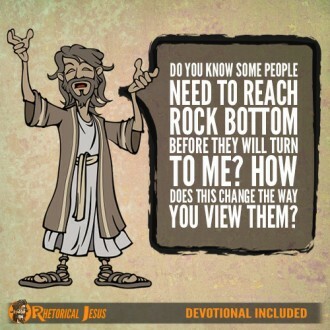 Do you know some people need to reach rock bottom before they will turn to Me? How does this change the way you view them? 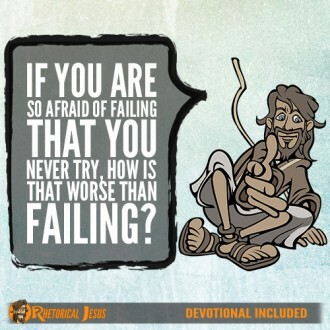 If you are so afraid of failing that you never try, how is that worse than failing?